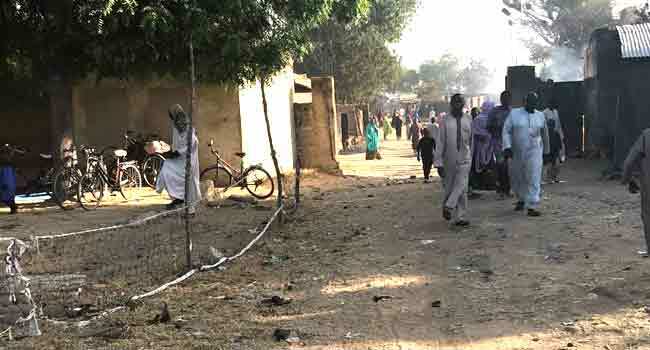 Many Boko Haram terrorists invaded some villages in Konduga Local Government Area of Borno State on Wednesday. 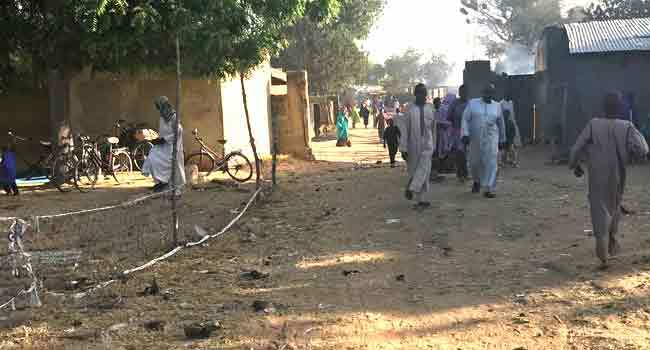 According to witnesses, over 200 insurgents reportedly came for the attack. 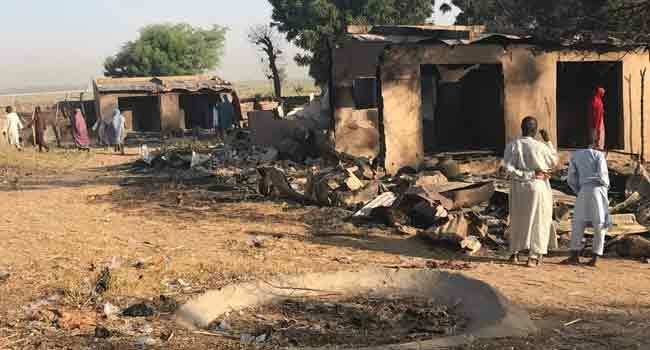 The villages attacked are Kofa, Abba Malumti, and Gozari, as well as Dalori II Internally Displaced Persons (IDP) camp, all located close to Maiduguri, the state capital. 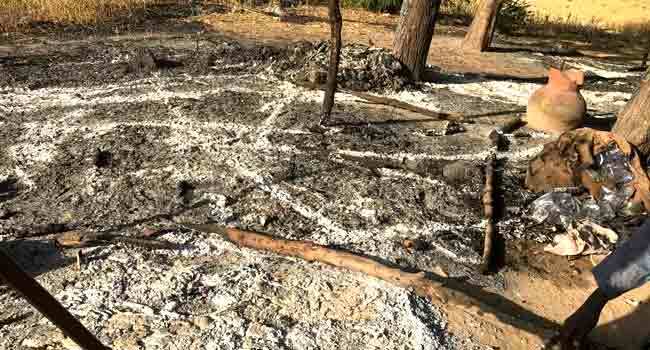 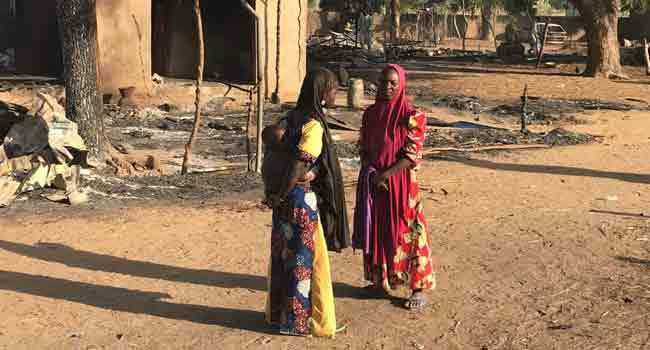 When Channels Television crew visited some of the villages on Thursday morning, several houses were seen burned to the ground and properties destroyed as residents counted their losses. 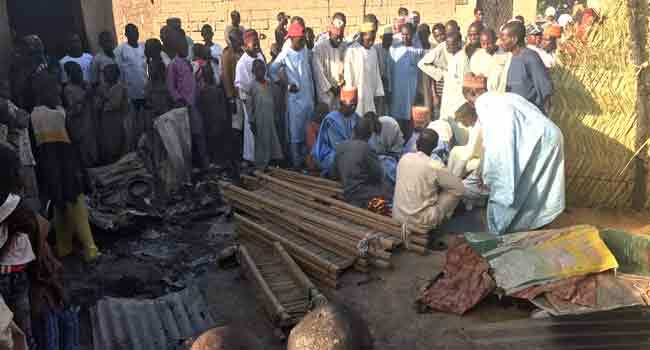 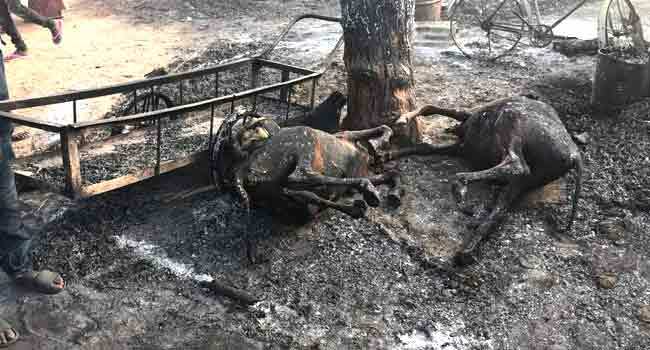 In Kofa, the Imam of the village and four members of his family were set ablaze while eight and two people were killed in Abba Malumti and Dalori II IDP camp respectively. 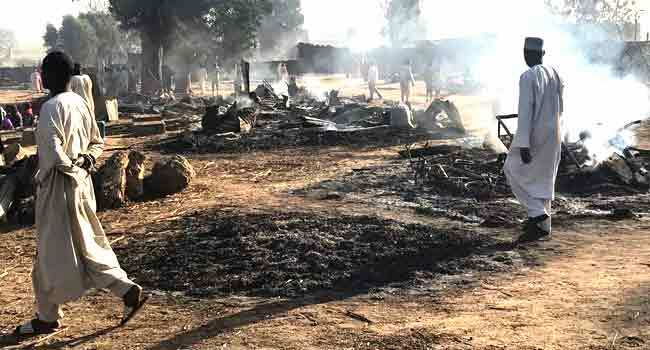 One of the villages which came under attack by Boko Haram terrorists in Borno State on October 31, 2018.